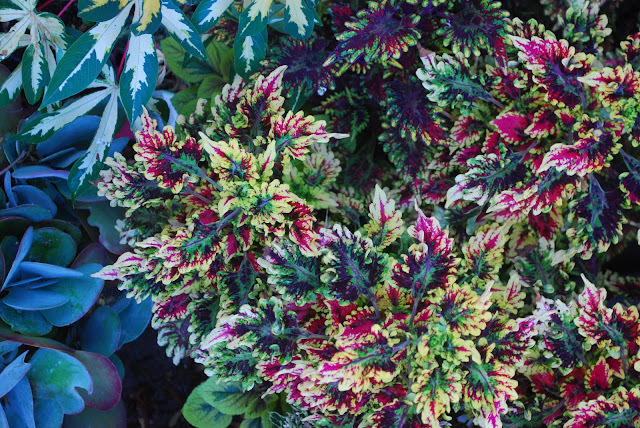 ...except the Coleus. Nothing fancy or avant garde about these guys, but great pleasure is taken every spring in seeking out new specimens , and potting up the cuttings that have struggled and prevailed in their inhospitable winter digs -a glass of seldom changed tap water in a sporadically heated house. Pots are staged in partial shade locations around the garden . I pout concerning my limited site choices-friends in climates that have humidity and rain during summer seem to be able to put them anywhere. I do, however, get to put them out earlier and bring them in later. Trade-offs. Roses have been a feature here and in every garden that has owned me- the inventory is still 60-ish. They've been tucked in where ever the 6 hours of direct sun can be relied on , and the fences hold up the climbers. 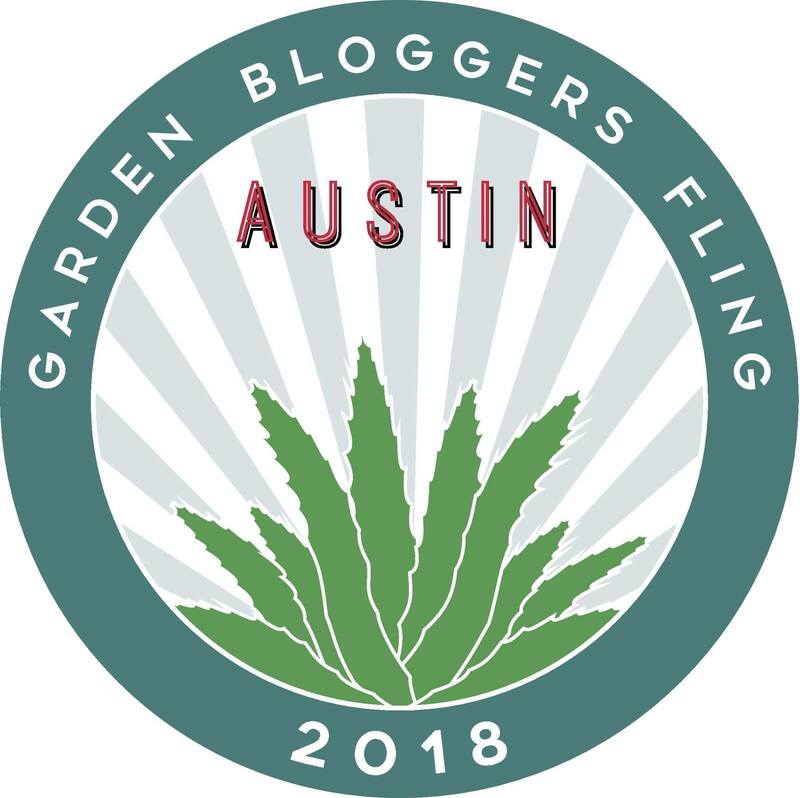 The patio cover over Succulent Alley features both Lady Banks and Cecile Bruner, 2 monsters that should probably never be in the same garden unless you have an acre - and I am far from that type of real estate. I believe that Cecile and the Lady are in fact holding the pergola up rather than the reverse. This particular infrastructure has seen better days, but the cap-ex budget is drained. 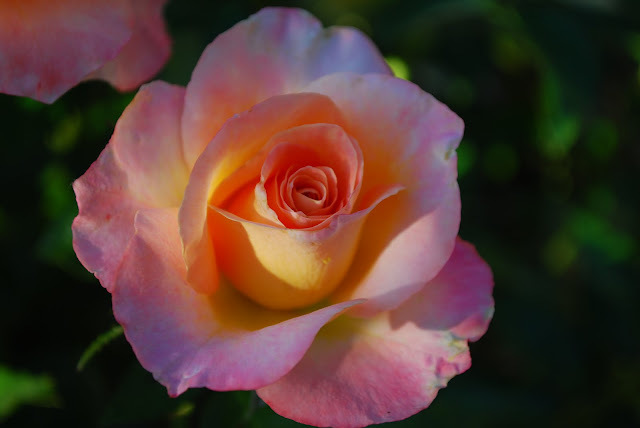 The roses are being re-thought this fall , and the under performers that I have tolerated for too many years are on the way out..'Evelyn' is in the yard waste bin as we speak. Ugly knees, weak necks, black spot, rust..adios dudes. 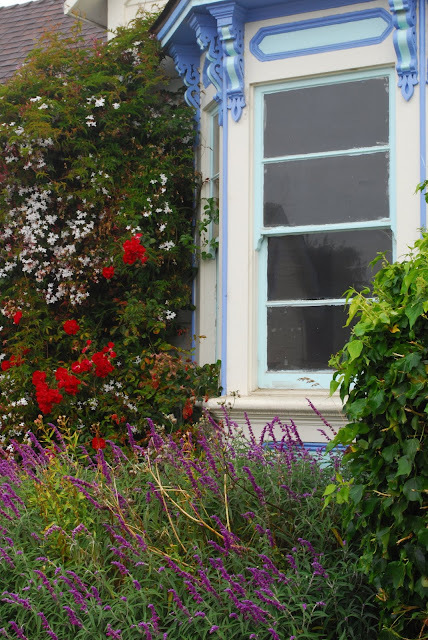 A foggy Sunday morning is a good time to take a stroll around the north coast village of Mendocino in search of gardens . The tide was out in the estuary and the ocean could not be heard or seen. This is not an easy place to live..it's isolated , jobs are few and far between , winter clothes never get packed away , and there are logistical problems for those prone to car sickness. Tough all these out, and you will find yourself in place of extraordinary natural beauty , where most of your neighbors have gardens.In fact, most of your neighbors will either be a B&B or a vacation rental. The only industry is tourism, thus we see a walkable town of charming cottages with gardens in the front, the back and in the alley. It sits perched on the headlands above some of the most stunning coastline in the west. I recommend breakfast at the Bayview Cafe , Irish Coffee at the Mendocino Hotel, and a visit to Gallery Books. Just make sure you bring a sweatshirt. 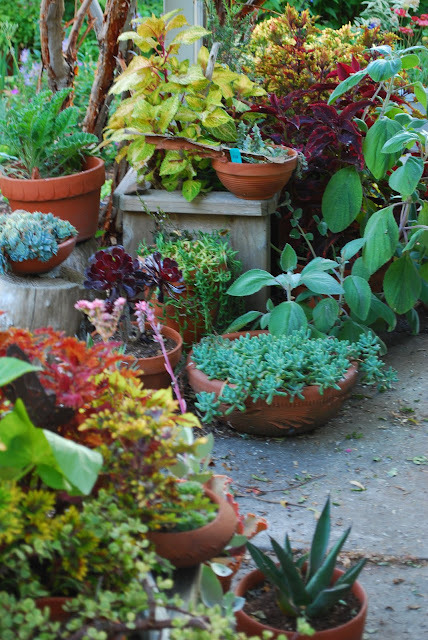 A small strip of patio that becomes less passable as the season wears on is home to the cluster of succulent pots , many of the specimens having become de facto bonsai as they require a move indoors over the winter, and the containers must be small enough to remain portable. I pine for a for a greenhouse . I have always possessed a modest collection , going back far enough to remember when it was not easy to find a nice selection in a garden center, and there was often travel involved to locate new plants. I've been to more than one little mom and pop cactus nursery with inconsistent labeling , presided over by passionate collectors who had no interest in a 'real' job, and managed to eke out a living propagating and selling oddities that only a small percentage of the plant buying public had an interest in. I always suspected they might have 'other crops' on the side to prop up the revenue stream. 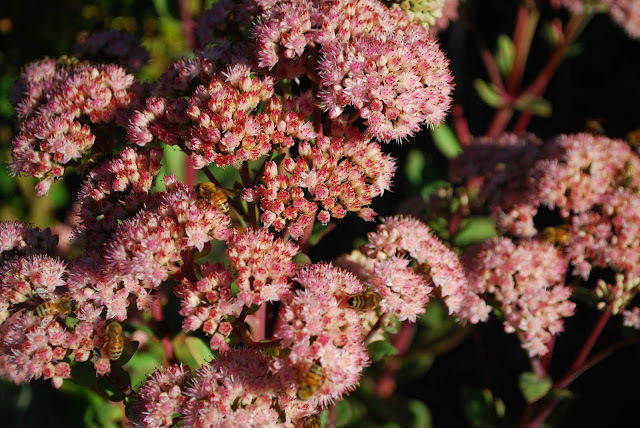 This Sedum from my favorite 'no tag' nursery is the destination plant for the bees in my garden at the moment. They have jilted the Lavender, and left the Gallardias behind, lost interest in the nearly bloomed out Rosemary. Just like the hottest new restaurant in town, this plant is always busy, crawling with buzzing diners. And how about the plant ? Wish I knew what it was (suggestions welcome) ..Flopless sturdy red stems support the pleasant mid-range green leaves ; it's slight list to the west is only due to the dreaded Liquidambar to its rear which continues to explode with foliage in spite of my relentless de-limbing activities.